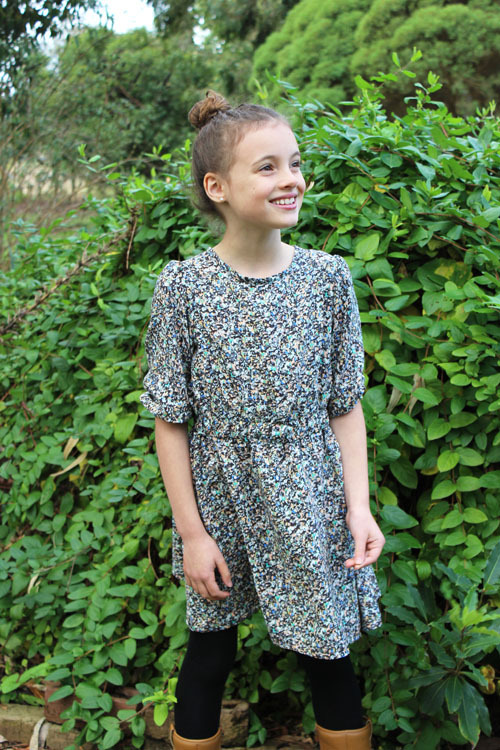 Today I am excited to announce the details of my new pattern - the Finch dress. The Finch dress is a relaxed fitting, feminine style dress with lovely details. The rounded neckline is finished with bias binding and the dress back features a keyhole opening with the bias being sewn into ties to create the back closure. The waist is drawn in with thick elastic which can be sewn all the way around or three quarters of the way around and accented with buttons at the front. The dress can be made sleeveless and finished with bias binding or gathered sleeves can be added in three lengths. The sleeves are drawn in at the ends with elastic. Lightweight woven fabrics like rayon and cotton lawn are recommended. A great pattern to use all year round. Sizes 12MO - 12Y. I am looking for around 24 testers to try out this design. To apply to test, fill out the application form HERE. Testing will begin Thursday 31 May and will run through until Saturday 9 June. Successful applicants will be emailed on Wednesday 30 May. Testing will take place through a private FB group. 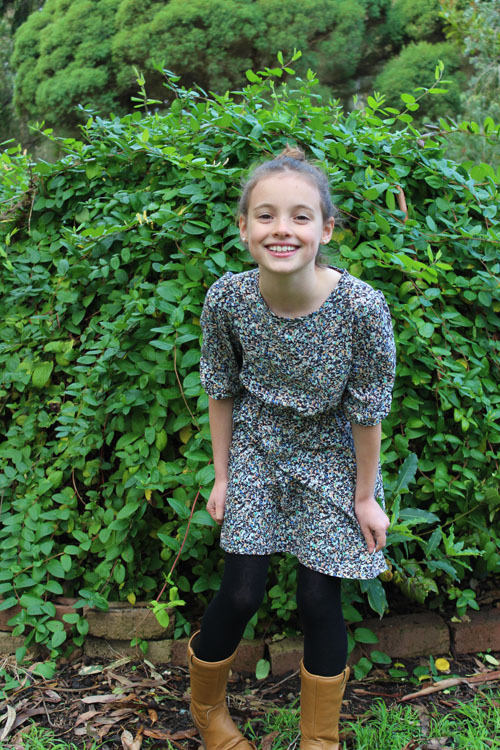 Isabella wears a three quarter sleeved Finch dress is See you at Six rayon I purchased from Sems Fabrics. It was my first time purchasing through them and I picked this beautiful rayon up for only $10 per metre (remember too that See you at Six fabrics are 140cm wide). Happy! 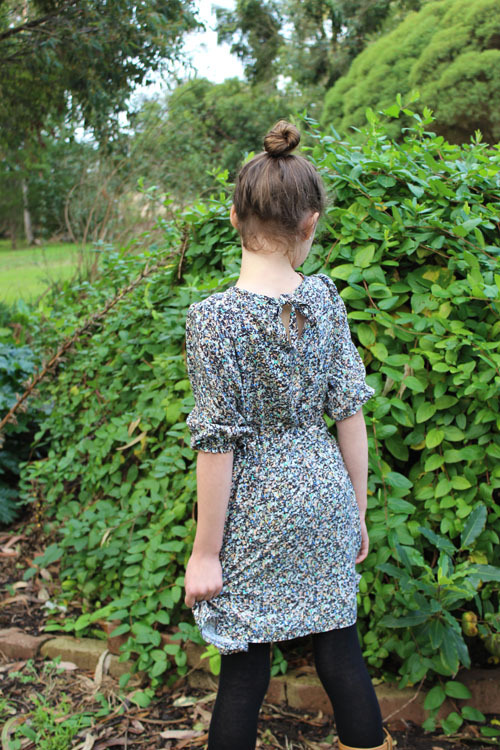 If you would like to see how the short sleeved Finch dress looks, see this post. Dress made in quilting weight cotton. I hope you like the pattern and I can't wait to get the testing started! oh wow! I didn't know that! !